Andrew’s practice covers commercial and traditional chancery work. Within these fields, he has particularly strong interests in trusts, pensions, fraud and breach of fiduciary duties, professional liability, company and partnership disputes. He is also often brought into to assist with cases involving other areas of the law most notably family, insolvency and regulatory proceedings. Andrew enjoys both the advisory and advocacy sides of his practice and is experienced in the main forms of alternative dispute resolution. He frequently appears on his own against QCs. He is also regularly instructed as part of a team either alongside a QC or leading more junior barristers. In recent times, Andrew has gained significant experience of working on so-called ‘big money’ divorce cases involving the treatment of trust assets. He has also been instructed in many of the recent leading pension cases especially those considering the use of The Pensions Regulator’s powers. Many of Andrew’s cases involve an international element, particularly in the context of trust disputes or fraud cases, and he has been admitted to the Bar of the Cayman Islands where he has appeared as an advocate. In the past few years, Andrew has been engaged on matters concerning proceedings in Jersey, the Isle of Man, Cyprus, Switzerland, Singapore, Bermuda, Nevis, the British Virgin Islands, several states of the USA and the Cayman Islands. 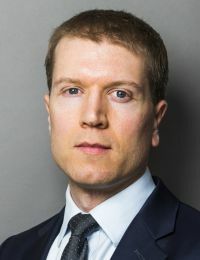 The recent Chambers & Partners 2019 describes him as “an absolutely urbane, sophisticated and interesting, client-facing guy” who is “a very reliable and personable barrister and a safe pair of hands.” Andrew is a well-liked junior who is effective in fraud and breach of fiduciary duty cases. He is admired for the quality of his advice and advocacy and often appears unled in significant cases. Andrew adroitly handles a diverse range of traditional and commercial chancery matters, demonstrating considerable strength in cases concerning trusts, professional liability and company law. “He’s excellent with clients, excellent to work with and a talented guy.” He is also known for his expertise with regard to the treatment of trust assets in high-value divorce cases.